What Are No Prep Veneers? Many of my patients want no prep veneers because that means no shots. Really that is the #1 criteria, they want easy and no "pinch". Sometimes that works, other times the old saying is true, "pain is beauty" or is it "Beauty is painful"? I am not sure. Some teeth need to be numbed to get a better, more aesthetic, result. Here is a patient that came to me because she didn't like the shape of her front teeth. She does have nice teeth, but the small black triangles near the edges of here teeth really bother her. In my opinion this is a great case for no prep (or minimal prep) veneers. -The teeth do not already have fillings or cavities in them. -The teeth are already a nice color/shade. -The teeth are not crowded or overlapped. -The patient doesn't grind their teeth more than normal. If you are thinking you want to try no prep/minimal prep veneers the above 4 criteria need to be met, otherwise your veneers will have some compromises, or you will need to have your teeth prepped to get a better result. Here is her after photo. It was taken with the nitrous nose on, so her lip looks a little bit weird. 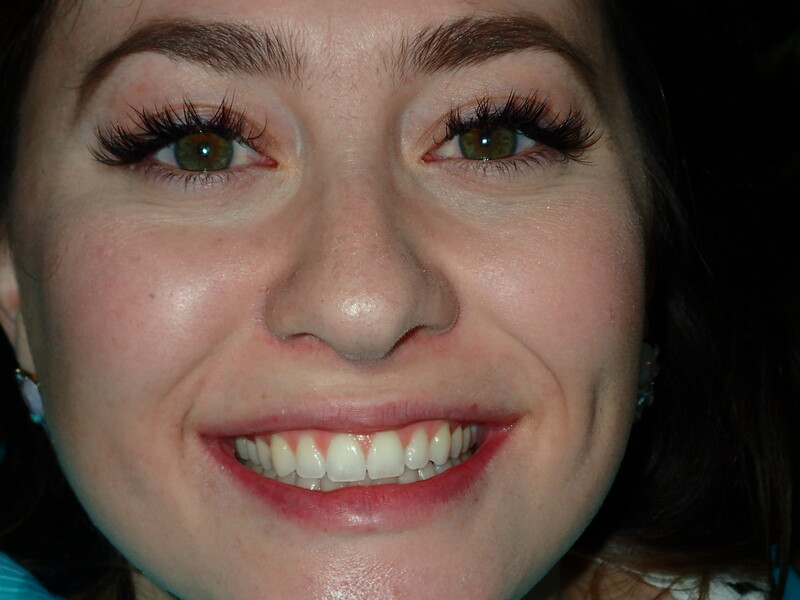 Also, one of the front tooth veneers was slightly longer than the other. It was an easy fix, we just shortened the veneer with a little disc. Took about 30 secs. See the pics below for the side by side before and after. 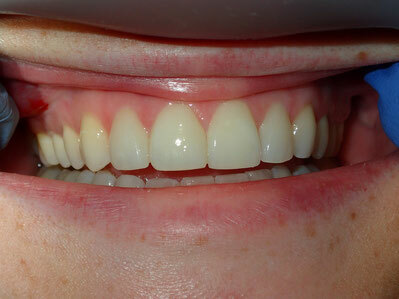 These veneers were done with zero anesthetic and no temporaries. She came in, we cleaned up the teeth and took an impression. 2 weeks later the veneers were back from the lab. 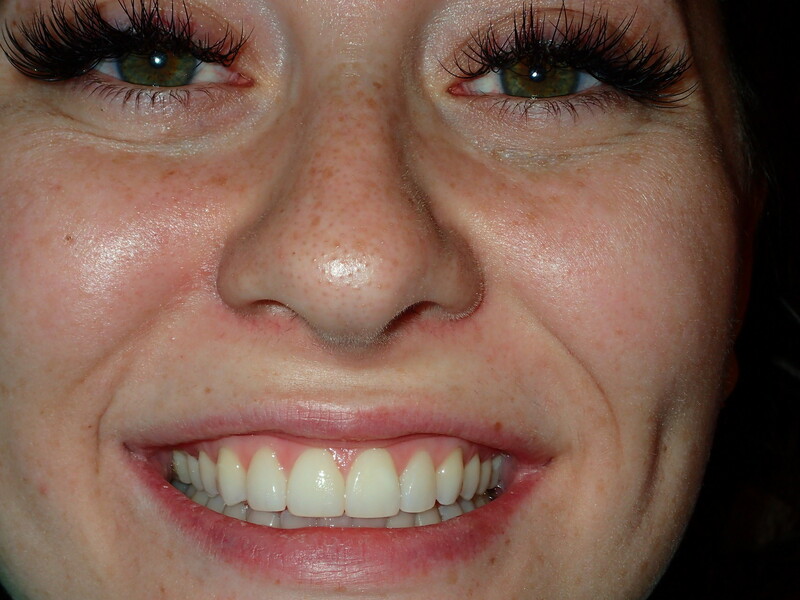 We cleaned up the teeth again and bonded the veneers to her front teeth. As easy as it gets. These veneers are very thin. Almost like contact lenses for the teeth. The are great at giving a better shape to the tooth, it is hard to get a "whiter" tooth with these veneers, but color can be changed a little. 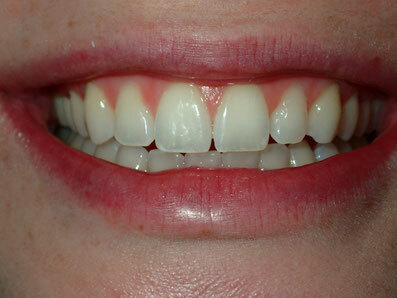 If you want to know if you are a candidate for no prep/minimal prep veneers come in and we can do a free consultation. Here are the before and after shots. It is a subtle change, but the patient was very happy. I like your post .Fantastic work, I like the color combination your art. Effect made in your painting is so brilliant. Keep your hard, good luck for your future. Really enjoy your paintings!! Thank you for just useful article.